Please tune in to CBS Sunday Morning this Sunday, April 21, to see critically-acclaimed actor, director, writer and Stony Brook University visiting professor Alan Alda featured for his role as a founding board member of the Stony Brook University Center for Communicating Science. Find out why Alda is teaching improv not to actors…but to scientists as part of this exclusive interview! *Please note: Airing date subject to change by CBS. FoodtoEat.com is redefining the way you order food. The newly created online hub is the first of its kind, enabling customers to pre-order from restaurants, food trucks and street carts in one place. So where did the idea of FoodtoEat.com come from? And making food trucks more accessible is turning into a booming business. But as appetizing as the idea is, it did not become profitable overnight. Watch the Stony Brook Seawolves take on Binghamton this Saturday, March 9 for during the America East Tournament! Game watch starts 6:00 p.m. Please wear RED and Go Seawolves! March is National Athletic Training Month, and the Stony Brook University Athletic Training Program kicked it off on February 28 with an appearance on NBC’s Today Show, where Kate Harney from the Seawolves Swimming and Diving Team was given an “ambush makeover” (see video). Following the show, the students visited Columbia Prep School, where one of the program’s alum works, and then went to Madison Square Garden for a tour of the New York Rangers athletic training facility. Stony Brook Student Athletic Trainer gets makeover on the Today Show from goNYSATA2 on Vimeo. Source: Stony Brook University Happenings. Bones of Turkana follows the story of famed paleoanthropologist Richard Leakey and his wife Meave, daughter Louise and their colleagues, as they work in the arid northern regions of Kenya’s Turkana Basin to unravel the mysteries of human evolution. While one of the Leakeys’ goals is to demonstrate the complexity and truth of human evolution, they also seek to show how the qualities that we proudly call human were all born in Africa. Photo courtesy of J.J. Kelley for National Geographic Television. 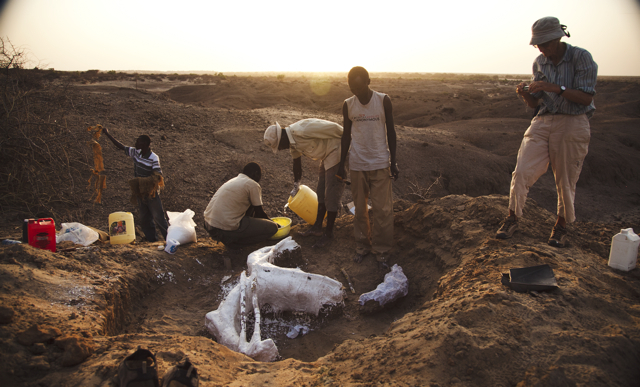 Bones of Turkana airs on PBS on May 16, 2012. Please check local listings for the time of broadcast. The story that emerges is exciting, emotional, contemplative, occasionally funny, and in the end, transforming. This is Africa at its most beautiful and harshest. We hope you will tune in for Bones of Turkana, written, directed and produced by John Heminway. If you have any questions, please contact Sarah Abruzzi in the Turkana Basin Institute office at 631.632.4608 or sarah.abruzzi@stonybrook.edu. The Seawolves are making their second NIT appearance in the last three seasons. 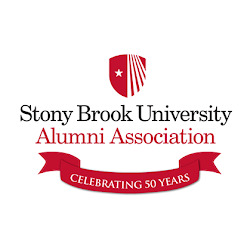 Stony Brook, N.Y. – The Stony Brook men’s basketball team, making its second national postseason tournament appearance in the last three years, has drawn Seton Hall in the first round of the 2012 Postseason NIT. The Seawolves will take on the Pirates Tuesday night at Walsh Gymnasium in South Orange, N.J., at 7:15 p.m., live on ESPN3 and WUSB 90.1 FM. Watch the Stony Brook Seawolves take on University of Vermont Catamounts this Saturday, March 10 for the America East Championship! NCAA Tournament berth is at stake! Game watches start at 11:00 a.m. Doors open at 10:00 a.m. Game watch starts 11:00 a.m.
#151: Buzzer Beater Win & Seawolves on ESPN! What could be more AWESOME than an epic buzzer beater win for Stony Brook against Albany in the 2012 America East Tournament? Well, a few things:1. The win means that Stony Brook will bring the championship game home to our arena on Saturday when we will play Vermont at 11am (the game will be broadcast on ESPN 2, but there is nothing like being there! ticket info here)2. Dallis Joyner’s amazing game winning shot was the number one play on ESPN’s top ten plays of the week! Watch it – it is truly a sight to behold!Click to watch!3. Apparent in the proud Facebook statuses, tweets, and in conversations with students, staff and faculty alike, this is a huge moment for Stony Brook. Though we may not have been on the court playing, this is a win for our Stony Brook community, and the pride it has inspired in the community is readily apparent.Congratulations to the Men’s Basketball team on the amazing season! That being said, get ready to gear up for Saturday – get your tickets, and GET YOUR RED ON! via #151: Buzzer Beater Win & Seawolves on ESPN!.